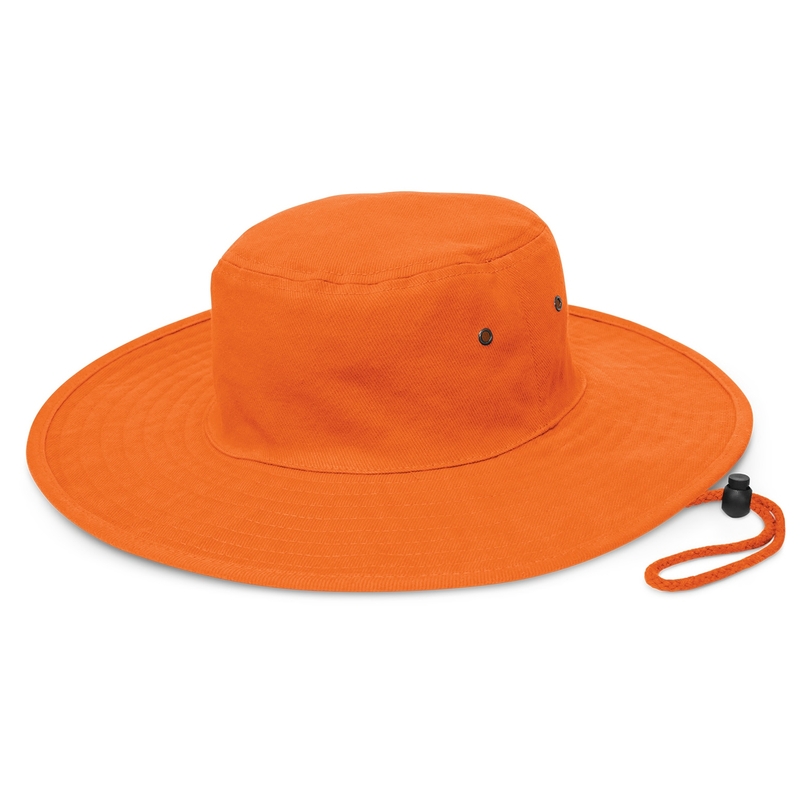 Whether you're in the outback, on your boat or in your backyard, you'll be glad to have this wide brimmed sun hat with you. 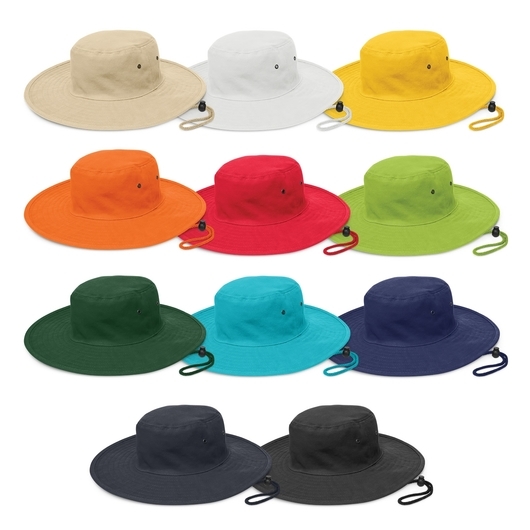 Manufactured from sturdy, heavy brushed cotton and available in four different sizes including a child's size. 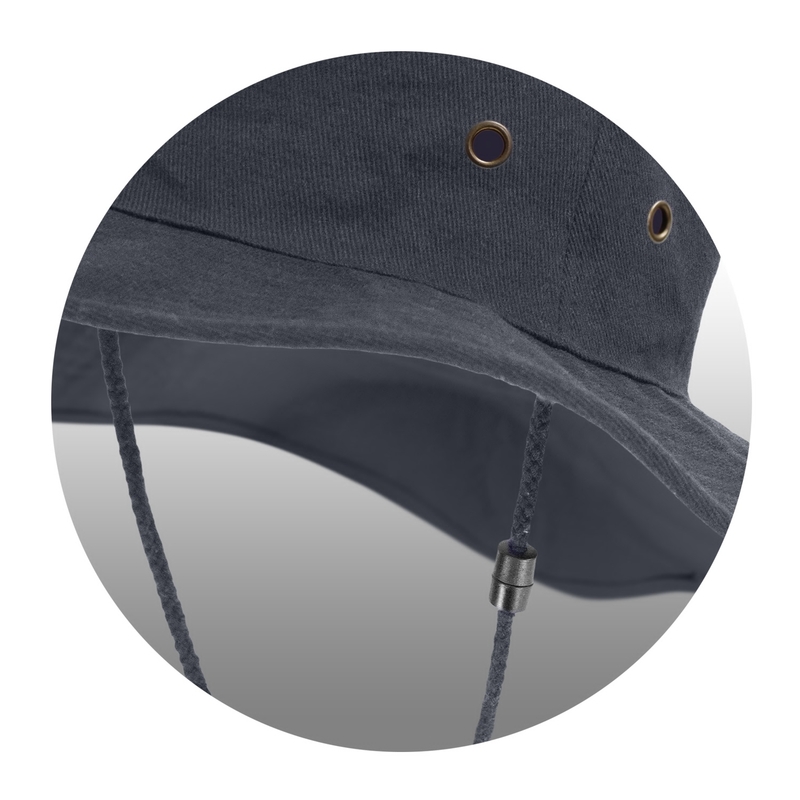 It features a sweat band, smart gunmetal eyelets, woven chin strap which has a break away safety clip, and a sliding adjustment toggle. Offers UPF 50+ excellent protection from the sun and complies with ASNZS 4399-1996 standard.